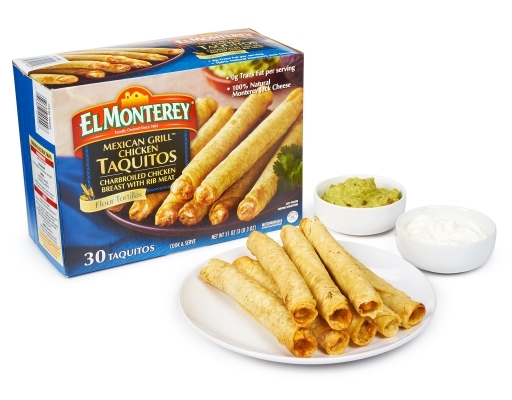 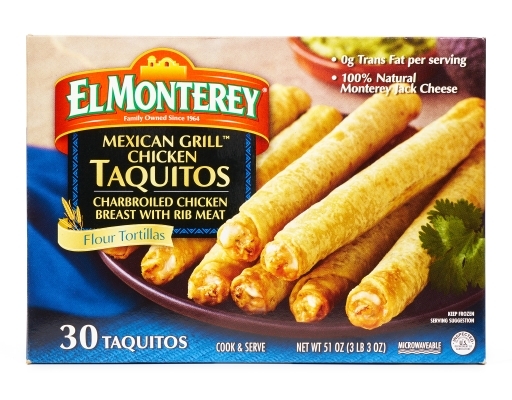 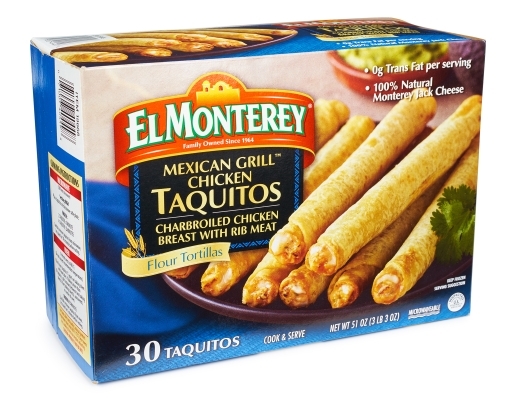 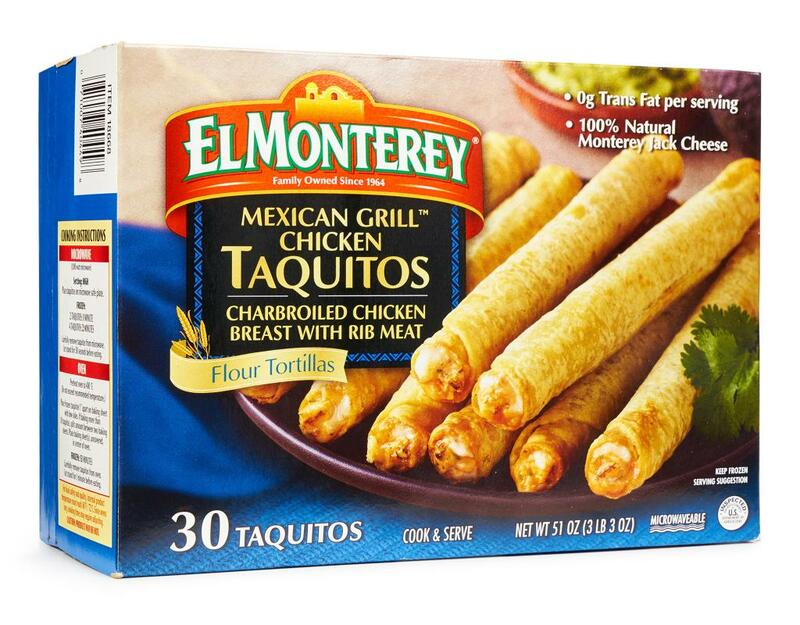 Delicious Mexican flavor that will make a great snack or on-the-go meal. 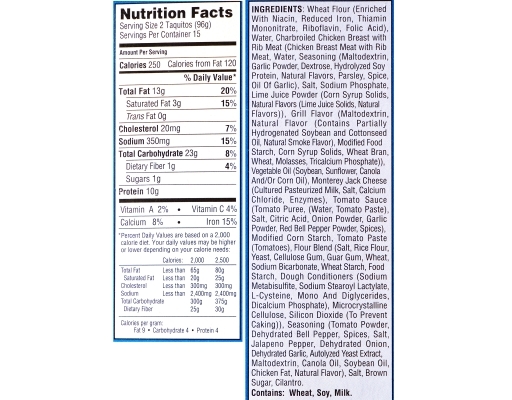 Wheat flour, water, cooked chicken (chicken, water, modified food starch, salt, sodium phosphate), vegetable oil (soybean, sunflower, canola and/or corn oil), monterey jack cheese, tomato (with tomato juice, calcium chloride, citric acid), contains 2% or less beans, textured soy flour, green chili (with citric acid), flavor, spices, modified corn starch, jalapeno puree, salt, tomato paste, dough conditioners (salt, yeast, cellulose gum, guar gum, wheat starch, enzymes, sodium metabisulfite, sodium stearoyl lactylate, l-cysteine, mono and diglycerides, dicalcium phosphate, microcrystalline cellulose). Contains: wheat, soy, milk.